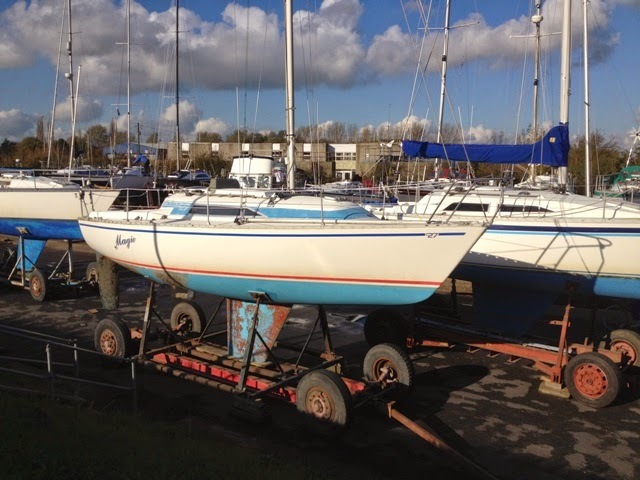 I have been a recreational sailor for many years, with a particular interest in small sailing craft; therefore much of the content of my 'blog' will be related to this subject. 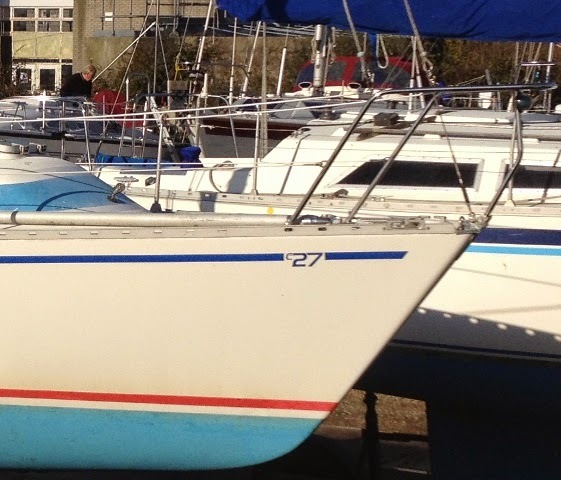 The MGC 27, designed by Rob Humphreys, originally started life as the Contessa 27. 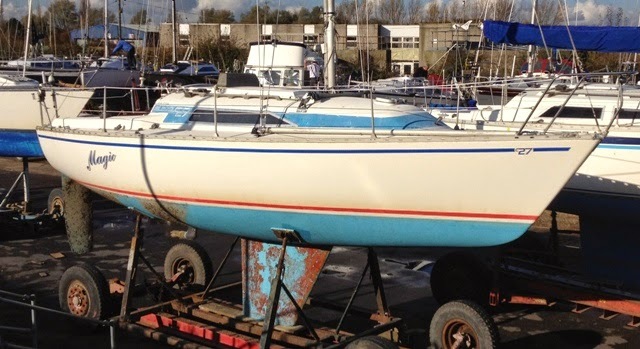 At that time, in the early 1980s, she was marketed by Jeremy Rogers, but she was later produced and marketed by MG Yachts who gave her the brand name MGC 27. She was a high performance cruiser-racer that was available with a fin keel or a drop keel. ‘Magic’ featured in the photo that was taken at Rice and Cole is a fin keel version. Apolloduck currently has 5 for sale between £18,950 and £19,995.